Syria’s Palestinian refugees have been subjected to the most-dire humanitarian conditions, with Syria now at seven years of devastating conflict, reveals a new report by the Euro-Mediterranean Human Rights Monitor, to be issued in a few days. These refugees have been forcibly displaced for the second time, now, while living as stateless people in light of the absence of established legislation addressing their status as refugees in most host countries, added the Geneva-based Euro-Med Monitor. Seeking ways to alleviate their relentless suffering, a Euro-Med team will be meeting this week with heads of OHCHR’s and UNHCR’s Middle East and North Africa regional offices to discuss the situation of almost 254,000 Palestinian IDPs (Internally Displaced Persons) in Syria, and some 160,000 refugees who have fled to neighboring countries or to Europe as a result of the ongoing conflict in Syria. 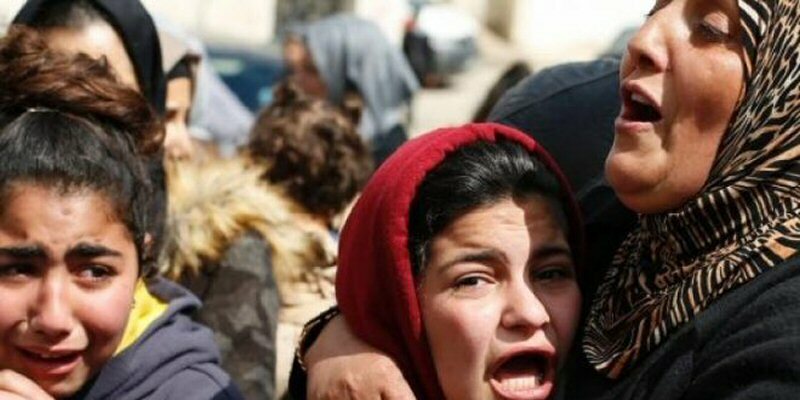 Titled “Palestinian Syrians: Displaced Once Again”, the report highlights the dire humanitarian situation and the legal limbo Syria’s Palestinian refugees suffer from, after been forcibly displaced as the conflict broke out. Out of 526,000 who used to reside in the country, 3,600 have been killed, PNN further reports. Ninety-five per cent of the remaining Palestinians in Syria lack food security and are in dire need for humanitarian assistance, while 93% of them are classified as “vulnerable” or “severely vulnerable,” while the rate of unemployment among them has already reached 52.2%, according to the report. The report sheds further light on the ongoing tragedy of Palestinian Syrians,” said Ihsan Adel, Euro-Med’s Legal Advisor, warning that 58% of Palestinians in Syria are internally displaced, while 13% either live in impossible and hard-to-reach or targeted areas. It is also difficult for them to leave the country, partly because many countries refuse to allow non-Syrians into their territories. The meeting with the relevant UN agencies aims to discuss ways to help these refugees, whether through aid, or communication with the host countries regarding their legal status in non-European countries, while facilitating asylum and reunification processes for those seeking refuge in Europe, Adel added.